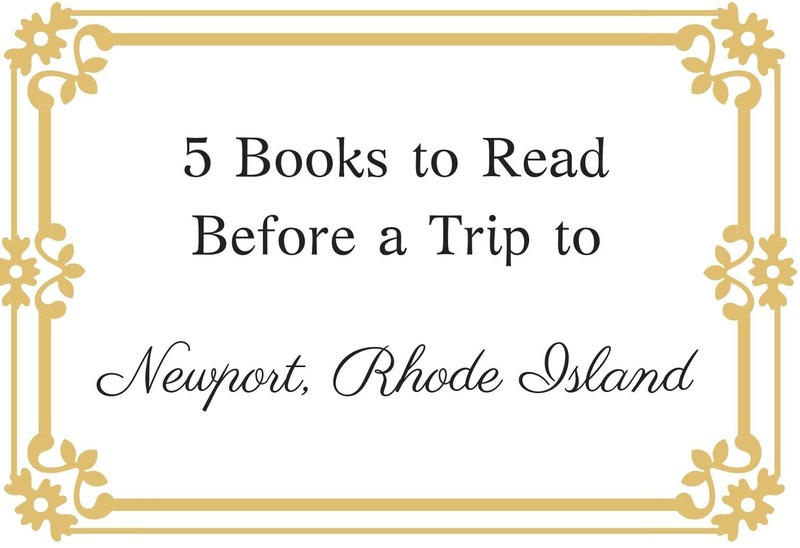 I first visited Newport, Rhode Island, as a teenager and loved touring its famous historic mansions. Tom and I went together a couple years ago and it was just as beautiful as I'd remembered. 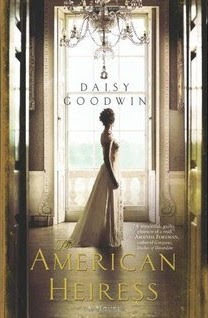 During the 19th and early 20th centuries, Newport was a summer haven for the wealthy, and so I wanted to put together a list of books inspired by this locale and the wealth and glamour of the Gilded Age. 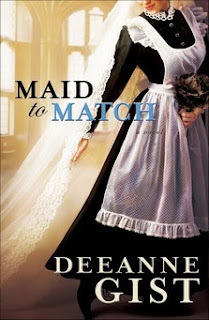 Maid to Match: This novel follows a maid working at Biltmore, the North Carolina home of George Vanderbilt. The Vanderbilts were a prominent family of the Gilded Age. 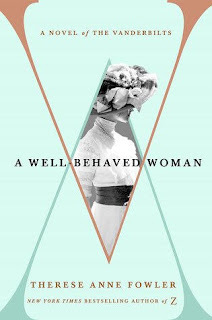 A Well-Behaved Woman: Keeping with the Vanderbilt theme, this novel tells the story of Alva Vanderbilt, who was responsible for the construction of Marble House, a Newport cottage (and by "cottage" they really mean super-luxe mansion!). The American Heiress: During the Gilded Age, it wasn't uncommon for young socialites to travel to Europe to look for husbands, gaining a title for themselves and helping save many English manors. The American Heiress envisions one such marriage. Crazy Rich Asians: This one might seem like an odd choice, but when I think of Newport, I think of unimaginable wealth (there was no federal income tax in America until 1913! ), and the families within the pages of Crazy Rich Asians definitely compare. 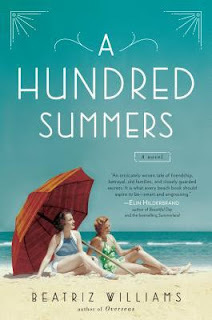 A Hundred Summers: This book takes place in the fictional town of Seaview, Rhode Island, and follows New York socialite Lily Dane in the late 1930s. What an awesome list! I loved A Hundred Summers. A Well-Behaved Woman, and An American Heiress. I'll have to check out A Maid to Match. I just wanted the Crazy Rich Asian movie -- so much fun! Great list! Oh this is a fun feature!! A Hundred Summers catches my eye. I would love to go back to Newport and check out the mansions we didn't see last time. Cool idea for a post! 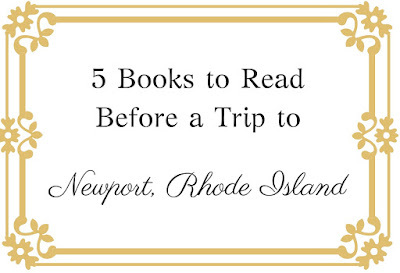 I haven’t read any of these, and I’ve never been to Newport, but I’d love to go someday. It's such a great place to visit, perfect for a long weekend. Great post! I love Newport and loved A Hundred Summers, too. I love books that take you on a trip :) It always helps set the mood for a great vacation. A Hundred Summers is one of my all time favorite books! Great post! Newport is such a fantastic place to visit. I love this! It's a unique way to recommend books. I recently have seen American Heiress around my library so it's funny you added it here. I'm assuming your enjoyed all these books correct? Yes, I enjoyed them all! Fun! 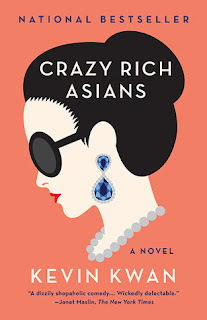 I love theme reading, and Crazy Rich Asians definitely shows us what it like to be filthy rich. I couldn't believe some of the things I was reading in that book! I've never been to Newport but it sounds like a lovely place. When I travel I do enjoy reading books set in the location where I'll be visiting. I always like to see the places I read about! Such a fun post! I love reading books about the filthy rich. I just finished the movie Crazy Rich Asians and now want to go back and start the series. Thanks, Suzanne! I think we're going to watch it this weekend! Angela this list is amazing. Such a great idea for a post. When I see books that are written around or near where I live or have visited I tend to pick them up. Behind the Doors was written with PA as the landscape and I know the area they were talking about, it was so cool. Great great great post! I love recognizing places I've been to in the books I read!